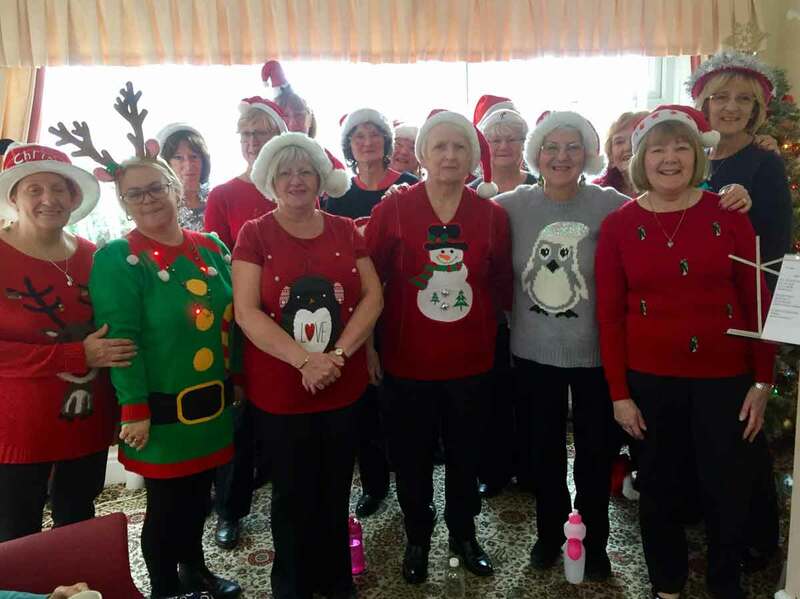 It was a lovely crisp morning and all our ladies were looking forward to our last care home sing out of the year. We had a good repertoire to take to the residence this year. Christine brought her keyboard as well so everyone could join in the carols at the end of the sing out. We had two newbies joining us on their first sing out. 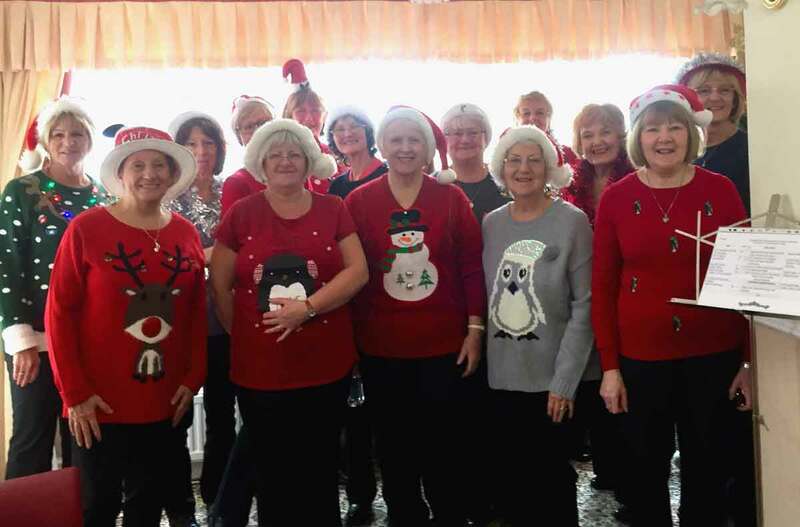 We arrived in our festive jumpers and Christmas hats and armed with sleigh bells and maracas for our audience to shake. 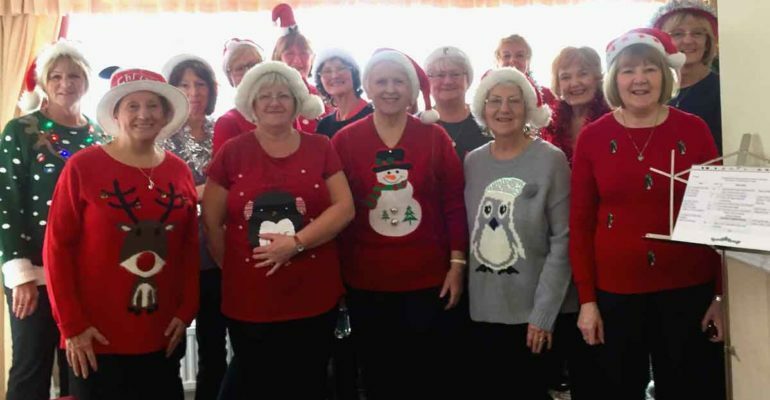 We have been coming to The Kingfisher Care Home for two years now and we all thoroughly enjoy the afternoons that we entertain the residents. Our ladies enjoyed singing and interacting with our audience! !